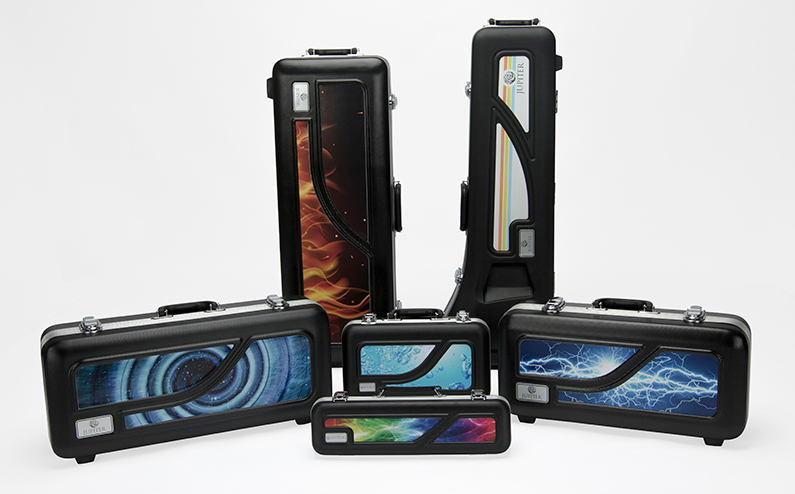 Jupiter Music - Jupiter’s New Lightweight "MyCase" Allows You To "CHANGE IT UP!" Home > News > Jupiter’s New Lightweight "MyCase" Allows You To "CHANGE IT UP!" With the ability to change the look of your case as often and as many times you want, the new MyCase offers over 400 designs to choose from to reflect a student’s current style or interest. As your interests change, so can the look of your case! The new MyCase changes the way we look at beginning band instrument cases. Students can now decide what they want their case to look like and CHANGE IT UP when they change their mind.